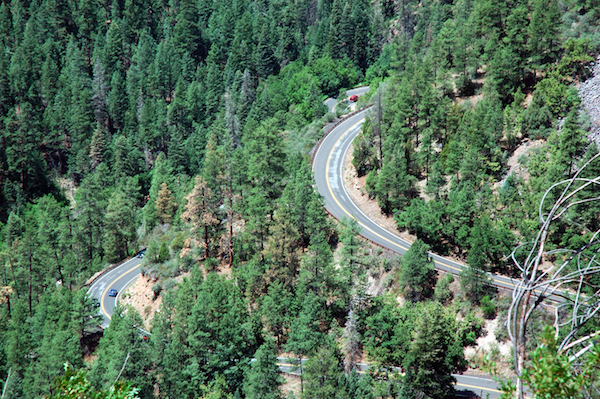 Many people think of road trips as the perfect opportunity to spend time with family and friends. But sometimes you might find yourself on the road all alone. It may be such a rare event that you aren’t quite sure how to handle the experience. Sure, you can listen to the radio (I have many solo concerts as I take my monthly trip in to visit my parents and brother) or have quiet time, but after several hours in the car by yourself you’ll either go stir crazy or get creative. Listening to the radio can become a little monotonous if you’re in the car very long. Radio stations come and go and you may lose the channel. But if you love to read, then you can enjoy quite a few chapters of the book in the car while you travel. Tip: Find audiobooks from the library or local used bookstores like McKays Used Bookstore in Knoxville, Chattanooga or Nashville… or whatever city you live in. Different parts of the country offer unique landscape and scenic views. Traveling to the Great Smoky Mountains, you will often see little overlooks and places to pull off that offer amazing vistas. If you’re traveling up north look for things like Roadside Giants along Lincoln Highway in Pennsylvania. Traveling south of Chicago you will see windfarms and beautiful barns and flat farms. If you have your camera nearby you can always pull over on the side and snap a few interesting pictures. Finding quiet time to write is sometimes a difficult task for moms. If you are a writer, you understand the importance of long-term quiet. It takes time to have your ideas start to take shape. Whether you are a blogger, writer, author, or columnist, you can use time in the car to write your thoughts. Even a simple free app like Dragon Dictation can help capture your thoughts. Even though Dragon Dictation doesn’t give you punctuation and paragraph breaks, at least it will capture your ideas so that you can do the editing when you’re at a computer. You can then email when you pull over for rest area breaks. With mobile phones improvements over the last few years, speakerphones are much better than they used to be. Use uninterrupted time in the car to call a friend. Put it on speaker phone, set the phone in the console beside you and chat. Sometimes with the busy schedules of life you may find that your friendships suffer. This could be great time to reconnect. I hope you find these four ideas and tips to help you enjoy a solo road trip useful. Do you take solo road trips? How do you use your time wisely and pass the miles? I’d love to hear! Solo road trips are fun, thank you for sharing this article with us. I enjoy solo road trips. I like to listen to personal development audio books while driving. I love to be in the car alone. I can listen to my favorite music or just have peace and quiet. I am not one to take solo drives if I don’t have to. I get too bored and don’t like to do anything that can distract me from driving. Solo rides generally bore me, but these are great tips to keep it from being so monotonous. Quiet time! I love audiobooks and podcasts when the quiet stops being relaxing and starts being unnerving. I’ve not ever had to take a road trip on my own, thank goodness! I need those 5 hour energy shots to keep me awake 🙂 Music I guess does the best and keeping me from getting too bored when I am driving and don’t have another ‘driver’ to take the wheel (If I’m the only driver I usually have my daughter with me). What great tips to enjoy a drive on my own. I usually don’t like to take road trips alone. I am all about traveling and just listening to music and enjoying the time alone. Great tips for the best solo trips! I’ve never done a solo road trip but I enjoy driving by myself, that’s for sure! lol “solo concerts.” I always have those – it makes the trip go by faster. 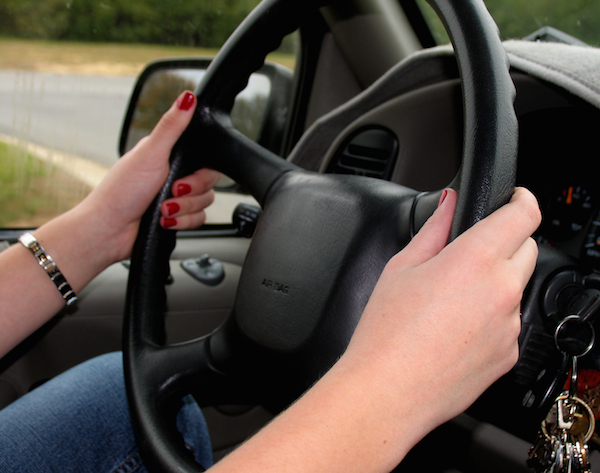 I am always driving solo and these are some really great tips. I have some brand new audio books that I will have to try out on my next venture. Great tips, years ago I rented a book on tape for a 6 hour drive to go pick my daughter up from summer camp. I remember my options were limited, but now a days when you can download an mp3 from a large site like Amazon, the possibilities are endless. I love solo road trips because it’s long blocks of time I don’t have to think about work. I totally love listening to audio books. I usually don’t stop to take photos, but I need to do that! Would love to take a trip all by my lonesome! What’s a solo road trip? I haven’t been on one of those in so long I literally forgot what they were lol. I’d love to take a trip by myself as I need a serious break. For many years before I met my sons mom I always went almost everywhere by myself and I always listened to tunes as loud as I wanted and could smoke in the car as much as I wanted. After we met, I enjoyed her company so much more than anything. After his mom passed away, I just had my son in the car and we never went out of town any more. Now with my fiance and my son, we enjoy the tunes, just not as loud and we only smoke when my son isn’t along. Solo road trips can be fun, but I can only go so far on a solo trip. I love to read. Listening to an audio book is a great suggestion! thanks for the tips, solo trips are fun too/..
great tips for a solo ride–never have done this –but just might NOW !! Always make a few different CD’s, My car reads MP3 Files so I can store thousands of songs on 6-7 cd’s & cover whatever I might want to groove to. Bring Loud Energetic stuff for when you start getting tired/bored, it keeps the blood pumping.. When I was younger I took many solo trips and loved it. Good tips here! I absolutely LOVE taking long road trips by myself. I like to have the radio on and my cruise control set. If only I didn’t have to stop once an hour to use the restroom! I love going places by myself! I love listening to what I want to on the radio. I could never listen to audiobooks while trying to actively drive, I’d want to pay attention too much to the book. Audiobooks are a great tip for driving solo. I listen to them when I travel for work. My husband travels for business and has frequent solo road trips. He kills time talking to me. These are great ideas. I am going to try and find an audiobook for my trip to Louisiana next week. I have never taken a solo road trip before. I’m always afraid I’ll get stuck in the middle of nowhere or take the “Wrong Turn.” ~lol~ Maybe I’ll take one someday! I’ve never taken a solo road trip, but I would love to. I never would have thought about stopping to take in the scenery. It sounds so much more relaxing than lugging 3 kids & all of the stuff while they yell at each other in the backseat. Audiobooks, audiobooks, audiobooks these keep me from falling asleep. My ride to and from work is 30 minutes and it is my book that makes me excited to get in the car and enjoy my ride home. I haven’t taken any solo road trips but I love the idea audio books and really should get some for my paper route because lately I have been struggling to stay awake. I’m an introvert, and I really enjoy driving on my own. I’ve spent HOURS traveling with family (I grew up in a big road-tripping, camping family) and I love it, but there’s something soothing about driving on my own as well. Recently I moved cross-country and was having trouble staying awake on the last leg of the drive. Any music, even loud music, was just putting me to sleep. I turned on an audio book and it really did the trick. Just paying attention the story engaged my brain enough to keep me alert enough to drive. It’s definitely a tip to remember if you have to be on the road when you’re tired. Sounds like some great ideas,I also like to try new eateries on the way. my best friend, who drove up from arkansas to nashville, played friends dvds on her dvd player while she drove to pass the time! Love alone time in the car. Soft music, and a lake or park drive by. Awesome!! !